What would be your key mission statement or business positioning: Provide professional, innovative representation of our manufacturers’ products on behalf of their distributor network by building and utilizing strong relationships with our foodservice operator customers. 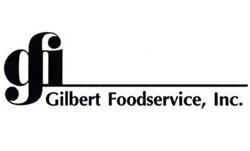 “About you” company details: Gilbert Foodservice is the largest and most longstanding broker in the Carolinas. Gilbert Moore more first established the company in 1982 on a card table at his home with one line, Fisher Cheese. Over the years Gilbert has never wavered in his commitment to staying local and remaining independent. His philosophy and approach have served our partners well for decades. Our biggest and best investment over the years has been in relationships. We are constantly developing, growing and improving our relationships with distribution, with operators and with our manufacturers. We are also proud of our market knowledge and the longevity of our workforce. And as an independent broker we believe we provide value in our ability to adapt quickly, to build customized solutions for our partners and to provide unparalleled service to the foodservice industry. Our Mission is to provide professional, innovative representation of our manufacturers’ products on behalf of their distributor network by building and utilizing strong relationships with our foodservice operator customers.